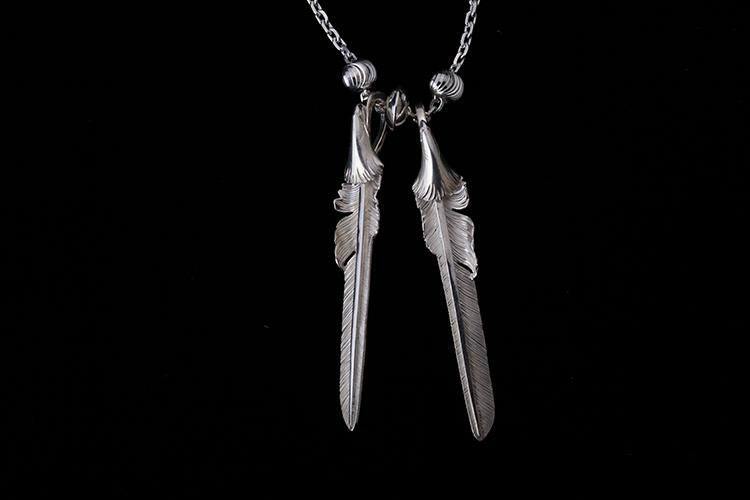 The silver feather necklace features a pair of silver feather pendants. 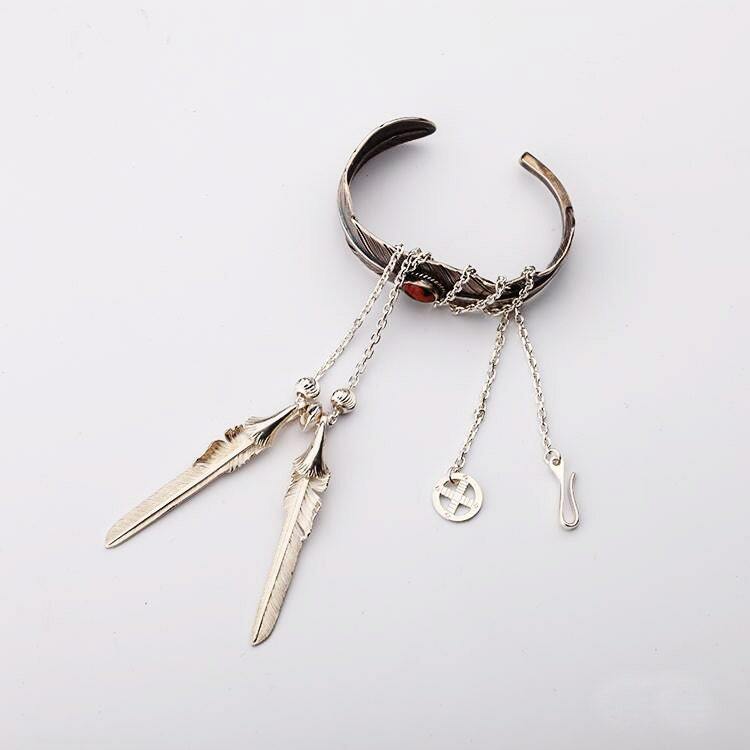 The necklace design is inspired by the Native American culture. Feathers hold a special place in the Native tradition - they are symbols of honor and wisdom. 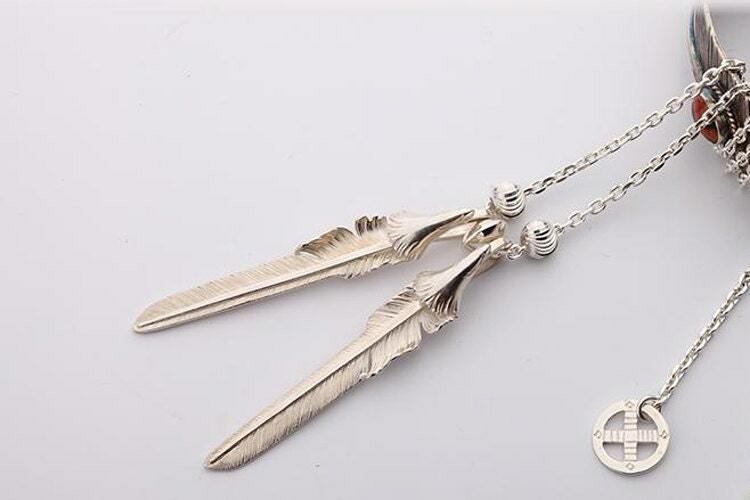 The silver feathers are crafted in a bold, sword shape. The quills are special - crafted in the shape of eagle heads. 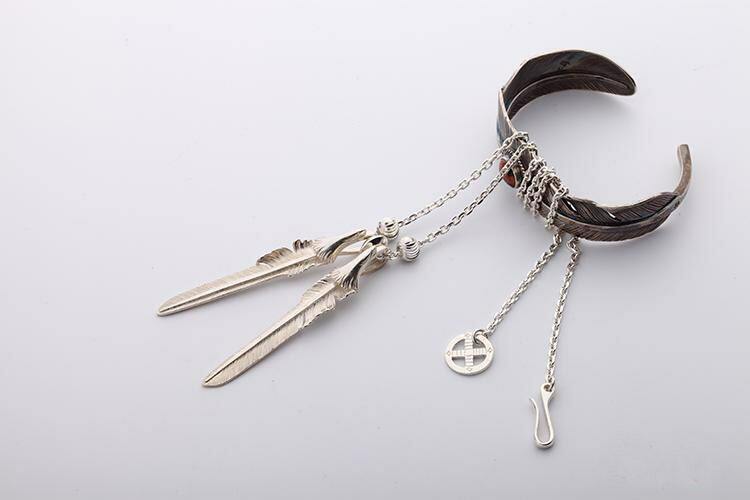 A silver saucer bead separates the two feathers, and each feather is flanked on the outside by a silver thread bead. 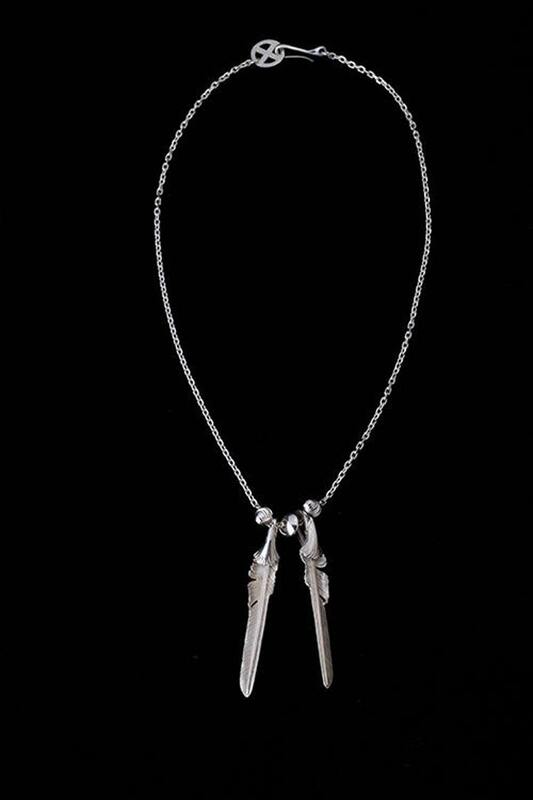 A simple silver chain supports the feather pendants, and closes with a carved loop and hook clasp.